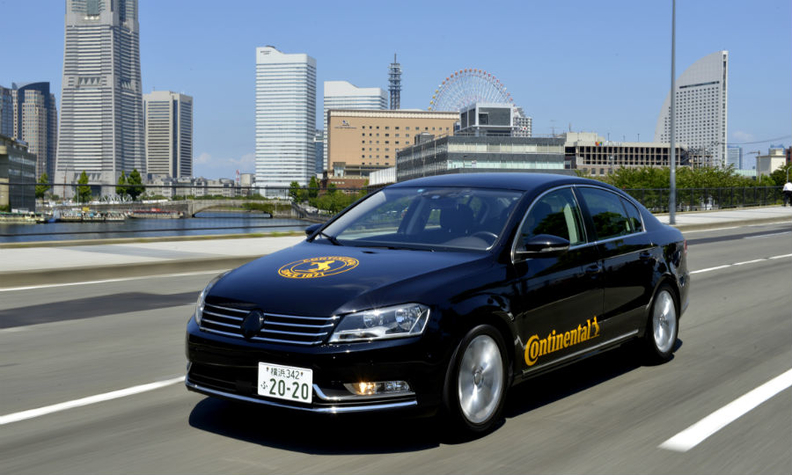 Continental has been testing its automated driving systems on public roads in Japan since 2014 after opening an r&d center in Mombetsu. 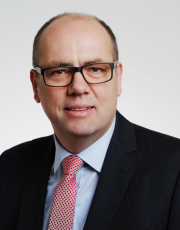 Continental's senior vice president for systems and technology, Ralph Lauxmann, says fully automated driving will be available by 2020, but its use will be severely restricted. He explained why to Automotive News Europe Correspondent Olive Keogh. Everyone wants to know when automated driving will arrive. What's Continental's view? We believe it will be 2020 when the driver will be able to hand over the full driving task to the car. Even then this will not be on public roads. It will be in restricted areas where only similar cars will be allowed. It's very complex to manage a traffic situation with vulnerable road users and other variables with the current systems. Today's systems are pretty advanced. What's the next challenge? Capacity and reliability. Right now we don’t have the sensors or ECU [electronic control unit] calculation power to realize all the functions we want. With regards to completely new things, it will be around services such as supporting parcel deliveries to vehicles. What functions would more advanced sensors deliver? The ability to detect everything around our cars. Currently we can build an environmental model of a driver's surroundings accurate to 300 meters. The next challenge is to go beyond that. This involves using a kind of swarm intelligence to get more data and sharpen the existing environmental model but also enlarging it to look around corners. Lauxmann sees capacity and reliability as autonomous driving challenges. This story is from Automotive News Europe's monthly magazine, which is also available to read on our iPhone and iPad apps.You can download the new issue as well as past issues by clicking here. Continental has developed high-resolution 3-D flash lidar. How significant is this technology? It's a huge step toward automated driving and improving safety. Today's cameras and radar can detect well in daylight. But radar can only detect some things in twilight and darkness limits a camera. Lidar creates a picture of your surroundings with the frequency of a camera. The technical principles are there. The challenge is making the technology affordable and scalable. Industry estimates suggest demand for assistance-related components will rise by a third annually. Do you agree with this prediction? I think it will grow faster. We expect to double our business within the next four years. That's a global figure and includes all automated driver assistance systems. We already have multiple safety systems on cars in developed markets but the rollout is only beginning in non-developed countries. In developed markets we will see increased demand for components supporting automated driving. Based on what we know, are there lessons in the fatal Tesla crash last May? Technology-wise I don't think so because the limits of the capabilities of today's components and systems are well known. What we should learn is that we have to be specific about how we describe levels of automation. Today's systems are assisted. This means the driver still has full responsibility for all the actions of the machine and must be part of the control loop. BMW recently announced a partnership with Intel and Mobileye to develop autonomous cars. Is this a shift in the traditional automaker-supplier relationship? Collaborations are not new. What has changed are the opportunities to publicize them. In the past, because of high complexity and hidden technology, it wasn't easy to talk about cooperations, such as those on engine management systems for example. Today, we can talk about automated driving functions because the end customer can feel and experience them. Is Continental becoming more high profile? Yes. In the past we have been a traditional Tier 1 supplier, a little bit hidden behind the automakers. But we have been technology leaders for many years, even though we have not told the outside world. We're the guys delivering the components and software that allows the automakers to offer automated driving. IHS has almost doubled its January 2014 forecast for autonomous vehicles sold worldwide by 2035 to nearly 21 million from 11.8 million units. Is this realistic? Yes, because automakers will not be the only ones delivering automated driving functions in high-end cars. These will be rolled out [to other segments] with tremendous speed because they are of real benefit to the customer.